How did the banks run wild for so long? Why are so many aged-care residents malnourished? And how is it that arms manufacturers sponsor the Australian War Memorial? 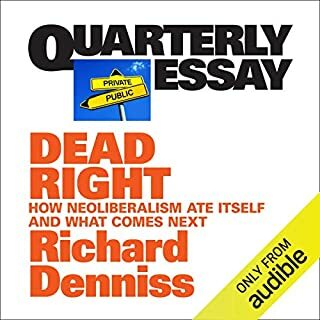 In this passionate essay, Richard Denniss explores what neoliberalism has done to Australian society. Half of the book talks about the Uluru statement and aboriginal affairs. Doesn't match description. 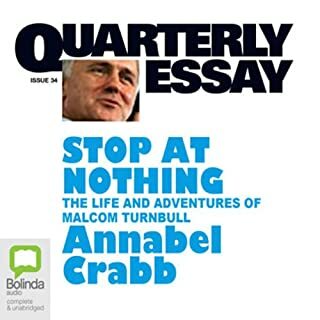 Based on extensive interviews with Turnbull as well as those who have worked with him, this is an essay full of revelations. Crabb delves into young Malcolm's university exploits - which included co-authoring a musical with Bob Ellis - and his remarkable relationship with Kerry Packer, the man for whom he was at first a prized attack dog, and then a mortal enemy. She asks whether Turnbull - colourful, aggressive, humorous and ruthless - has what it takes to re-invigorate the Australian Liberal Party in the wake of John Howard. Interesting to hear about the PM's life before politics. Reading this made me have a greater respect for Mr Turnbull. Our region is experiencing a momentous transition. The US-led order is fading, and China has become ever more powerful. Today the question we face is not whether we fancy living in an Asia in which power is shared between the United States and China. It is how we feel about living in an Asia in which America no longer plays any significant strategic role. 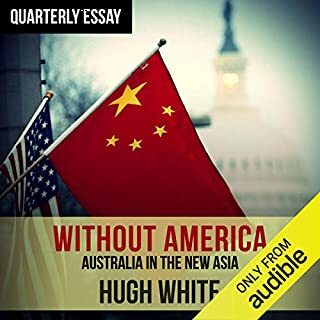 In this controversial and gripping essay, Hugh White looks at what has happened to the US globally. Great thought provoking read. Narrated beautifully to keep a reader in suspense. Would absolutely recommend this to anyone. Easy to understand yet engaging. 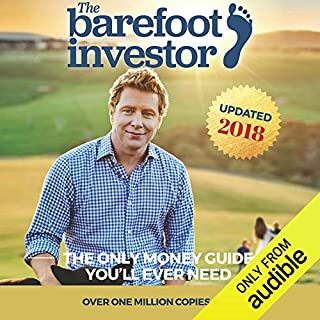 Specific advice for current Australian conditions. Narration is light hearted and relatable. Very much enjoyed the book.